Help us transform a MetroBus into a piece of moving art featuring our very own Gateway Arch. Metro Arts in Transit and the Gateway Arch are teaming up for a special Art in Motion bus painting on Wednesday, May 2, from 10 a.m. to noon. Painters of all ages are welcome. The free bus painting event will take place during the Explore St. Louis “Be a Tourist in Your Own Town” event at Kiener Plaza. “This art bus painting is a wonderful way to celebrate a project that has transformed downtown St. Louis and the Gateway Arch, while at the same time giving everyone a truly unique and memorable experience as they show off their artistic talent,” said David Allen, Director of Metro Arts in Transit. 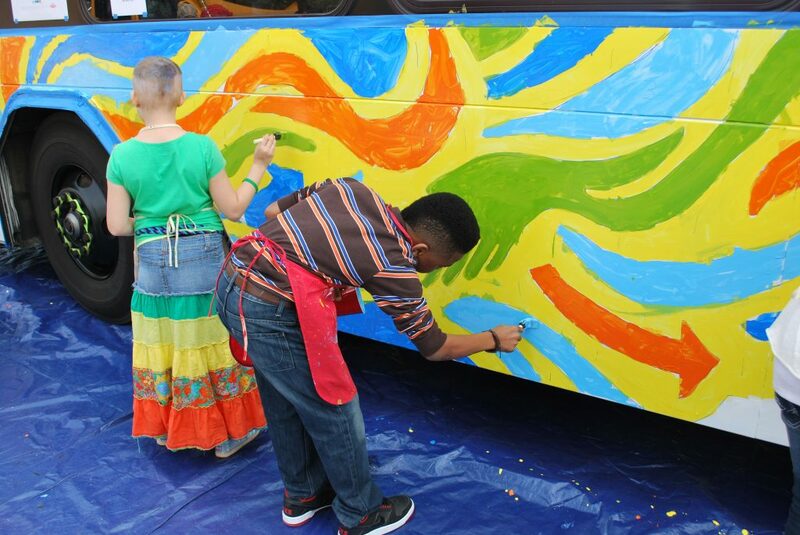 The bus painting event celebrates the grand opening of the Museum at the Gateway Arch on July 3.